Food Science – You Asked It! The challenge of feeding 10 billion people by 2050 seems impossible. 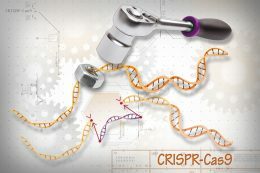 But, with the advancement of science, one new tool, CRISPR gene editing, could be an answer to food production that is sustainable, nutritious, safer, less wasteful and more. What is CRISPR? It stands for Clustered Regularly Interspaced Short Palindromic Repeats. Within a species, a gene or DNA is precisely edited without adding genes from another species (i.e. transgenic). Because of this, the process is quicker and does not need to pass as many regulatory hurdles as other methods. There are two parts to this technology. In the picture at left, the Cas9 protein acts like a socket wrench (top of the picture). Specific RNA guides, CRISPRs, act like the socket heads. The RNA guides direct the Cas9 protein to the correct area on the DNA strand that controls a specific trait (bottom of the picture). This technique is targeted and in real-time. This technology is being used in research to develop low-gluten wheat, leaner pigs, disease resistant cacao, rice and citrus plants, food crops with greater yield and others. Keeping up with the constantly changing world of food is a challenge. One source of the latest information in food science is through the Institute of Food Technologists newsletter IFTNEXT. You can subscribe to this weekly newsletter at http://info.ift.org/subscribe-to-the-iftnext-newsletter. You do not have to be a member of IFT. So it is free! Past issues of the IFTNEXT newsletter can be found at www.ift.org/iftnext.aspx. While maple syrup rules on many breakfast tables, walnut syrup or birch syrup may be an alternative. 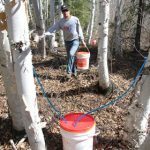 It is not common knowledge that syrup is tapped from walnut trees or birch trees. So, currently, the market is small. Birch syrup has an intense fruity molasses flavor. 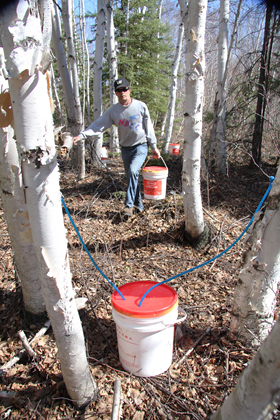 It takes about 150-200 gallons of birch sap to equal one gallon syrup. It is quite expensive at $350-$400 per gallon due to the expensive and time-consuming process. Walnut syrup has a nutty butterscotch flavor and is much like a light maple syrup. What captures the interest of students? FOOD! Yes, food can be used to engage students in inquiry-based science — really! 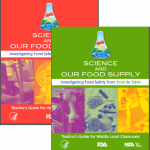 The Science and Our Food Supply Teacher Guides are challenging hands-on, minds-on activities that link food safety and nutrition to students’ everyday lives. They are crafted in a teacher-friendly modular format that easily fit into science, health, and other classes. 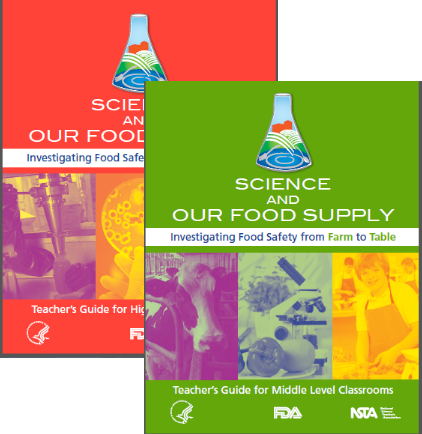 FDA in collaboration with the National Science Teachers Association (NSTA) have created Science and Our Food Supply: Investigating Food Safety from Farm to Table, an innovative, interactive supplementary curriculum for use in middle level and high school science classes. The topics include learning about bacteria, food storage and handling, pasteurization technology, the science of cooking a hamburger, DNA fingerprinting, and outbreak analysis. Nutrition topics include the Nutrition Facts Label, serving size and calories, sugar in beverages, sodium in snack foods, meal planning, and eating away from home.